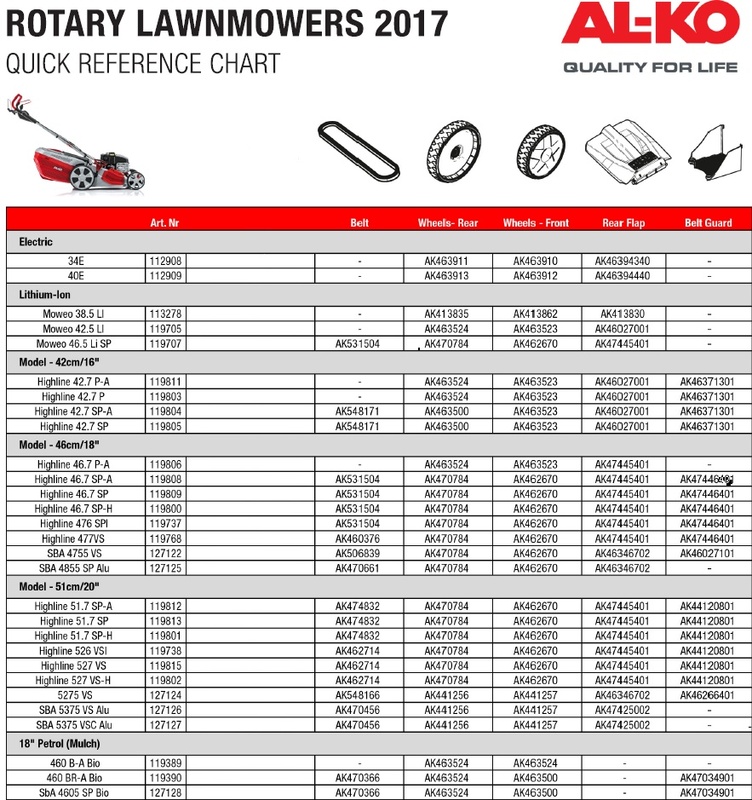 Lawnmower Spares and Spare Parts. Please Scroll Down for Alko Belts Alko Wheels Alko Deflectors and Alko Belt Guards. 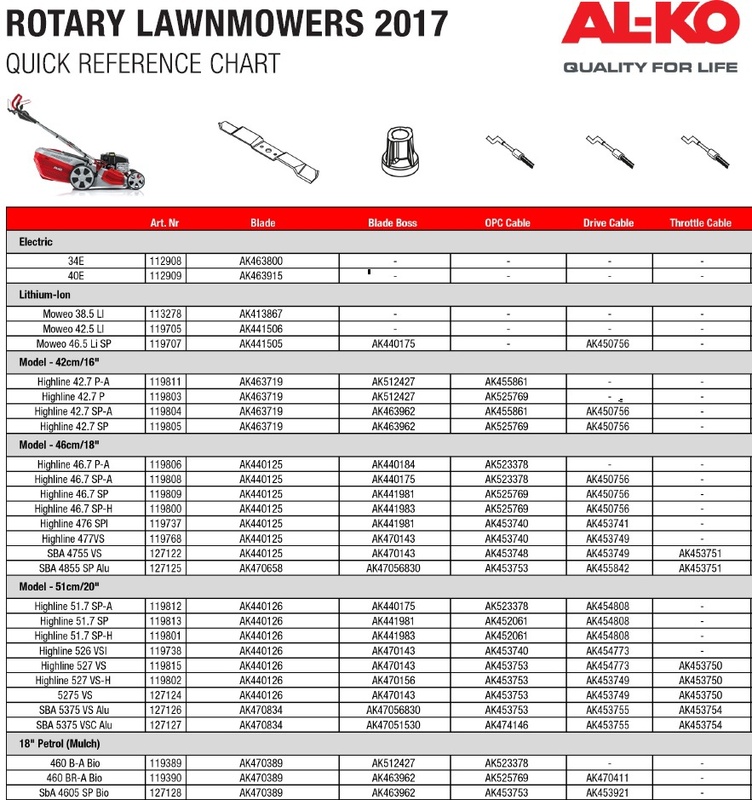 AL-KO Lawnmower Spares Alko Spare Parts 4 Wheeled Lawnmower Quick Reference Guides. Please Click on the Part Number of the part you require.